A London vineyard has produced what it claims is the capital’s first commercial-scale sparkling wine. The organic-certified Forty Hall Vineyard (FHV) is a social enterprise with around 10 acres of vines in Enfield, north London. Launched in 2009 and run by local volunteers, the vineyard is the first on a commercial scale in London since the middle ages, a FHV spokesperson said. It produces both still and sparkling wines. 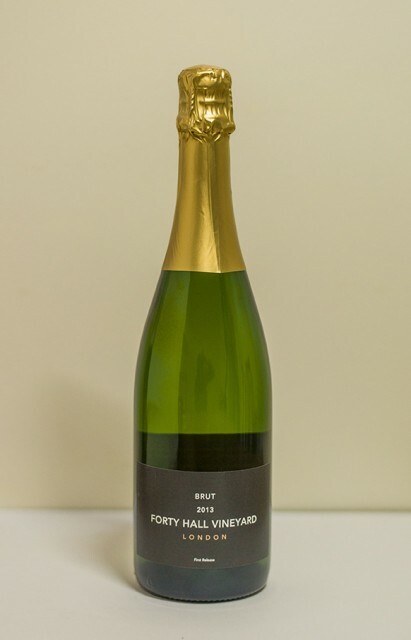 The Forty Hall Brut 2013 is a traditional-method sparkling wine made using Pinot Noir and Chardonnay grapes grown on a south-facing gravelly plot of vines. It is aged for a year on the lees before disgorgement and is described as a “young and vibrant” by FHV’s consulting winemaker, Will Davenport, owner of organic winery Davenport Vineyards in Kent, where the wine has been produced. Davenport’s 2009 sparkling wine was named Sparkling Wine of the Year at the English & Welsh Wine of the Year Competition in 2014. Will Davenport oversees the work in the winery for FHV while the vineyard work is done by volunteers under the management of Sarah Vaughan-Roberts. The winemaker said he was “really impressed” with the quality of the Brut 2013. While the 2013 vintage production only runs to “several hundred” bottles available as part of a sponsorship offer to fund FHV’s social enterprise projects, the organisation plans to expand production to up to 2,000 for the next vintage, according to Davenport. Far from being a side project, the FHV winemaking operation is intended to produce commercial-quality wine to compete on the open market. The winery eventually aims to produce up to 10,000 bottles of still and sparkling wine per year. Although currently certified organic, FHV is in the process of converting to biodynamic viticulture having received training from biodynamics expert Monty Waldin. As well as Chardonnay and Pinot Noir, the winery also grows Bacchus and Ortega grapes. 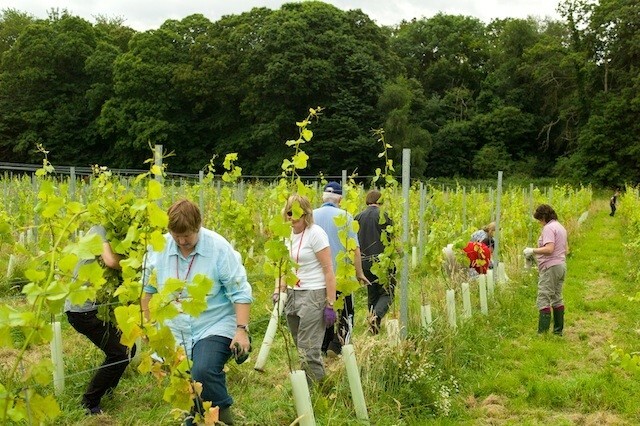 “We have enlisted the best of the quality English wine community to be our guides and, with their help, we are upholding high viticultural standards in a way that is most sympathetic to the environment and the local wildlife, and supports our community-focused ecotherapy programme,” an FHV spokesperson said. Forty Hall Vineyard is part of Forty Hall Farm, a 170-acre organic, mixed farm which keeps a variety of animals, including rare breeds, as well as having a community orchard, forest garden and market garden. Forty Hall Farm is managed by Capel Manor College, which owns the land on which Forty Hall Vineyard is planted and is a key project partner. Forty Hall Vineyard is not the only London-based commercial winemaking venture. London Cru opened as the capital’s first ‘urban winery’ in 2013. It produces wine from grapes grown in both England and France.